By buying this product you can collect up to 400 loyalty points. Your cart will total 400 points that can be converted into a voucher of 0. 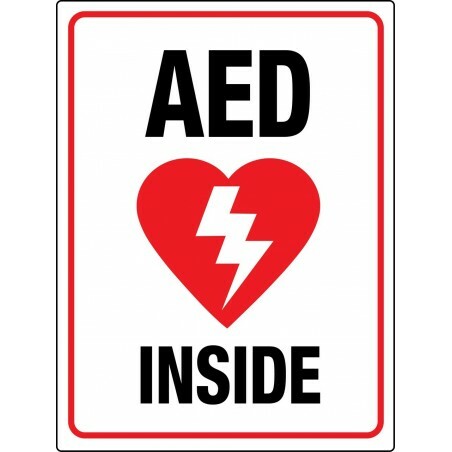 AED location signs and stickers- Make sure your AED location is well marked to avoid confusion during an emergency. AED signs and stickers from safetynigeria.com are a great way for others to be able to easily identify the location or locations of the AED's within a facility. Choose from our V-Shaped AED signs to our L-Shaped AED signs which work well to identify an AED within an hallway or long corridor. 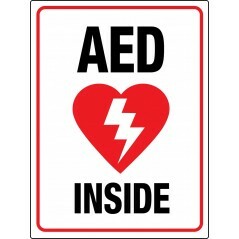 Our AED signs are great for schools and businesses.